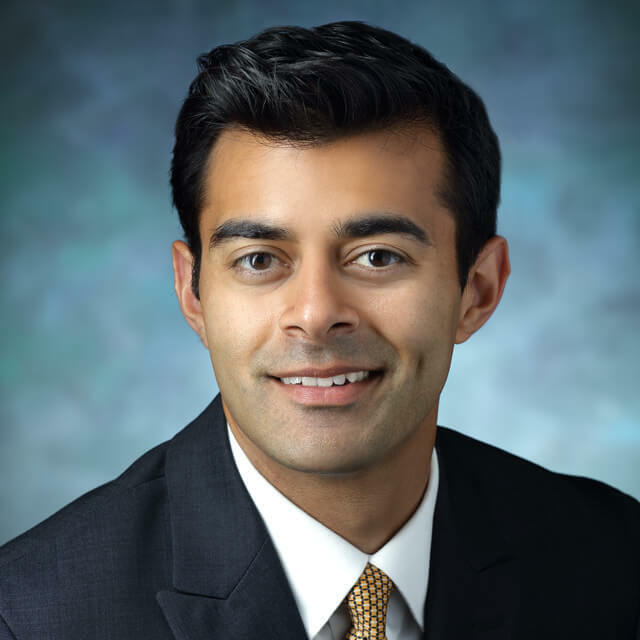 When you are facing Mohs surgery for skin cancer, you may be concerned about effectively addressing skin cancer, but also the impact of the procedure on your appearance. 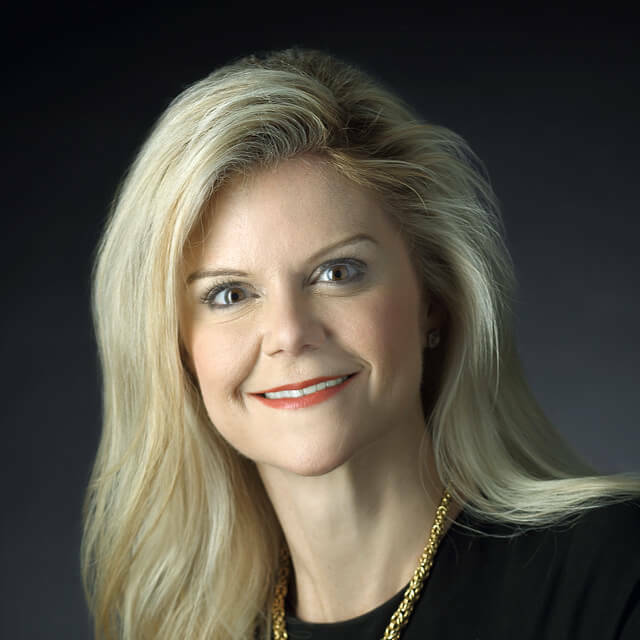 With both goals in mind we offer a unique team approach, with the Mohs skin cancer dermatologic surgeon treating the cancer, and our facial plastic surgeons restoring the natural contours of your face. Our expertise ensures the best possible aesthetic result for your surgery and repair. 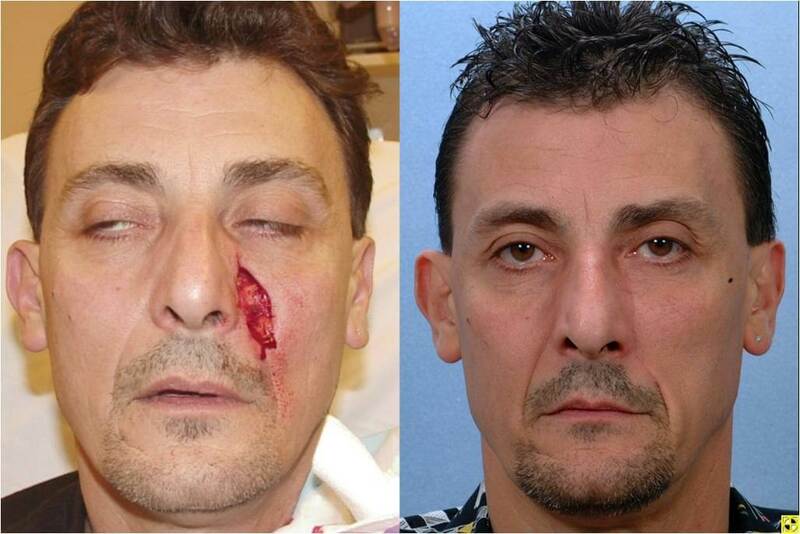 Treatment: Skin cancer removed with a rotational flap repair. Note: Early post-op result. Treatment: Full thickness nasal defect treated with paramedian forehead flap and internal nasal reconstruction. ​Treatment: Nasal tip defect treated with a paramedian forehead flap. ​Treatment: Large defect of the forehead repaired with local flaps. ​Treatment: Skin cancer removed and defect repaired with local flaps. ​Treatment: Full thickness defect repaired with paramedian forehead flap, cartilage grafts and internal nasal reconstruction. Treatment: Nasal ala defect repaired with a melolabial flap. 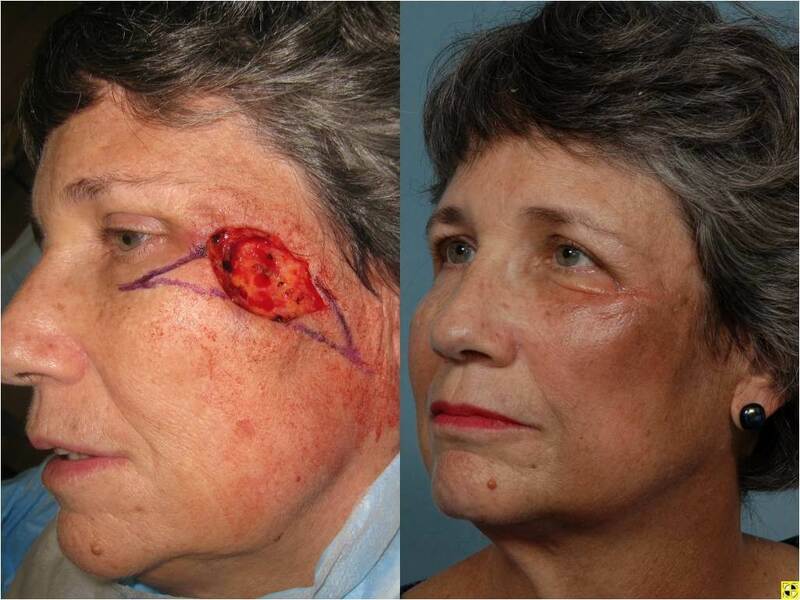 Mohs Surgery Treatment: Skin cancer removed with a rotational flap repair. Note: Early post-op result. Mohs Surgery Treatment: Full thickness nasal defect treated with paramedian forehead flap and internal nasal reconstruction. 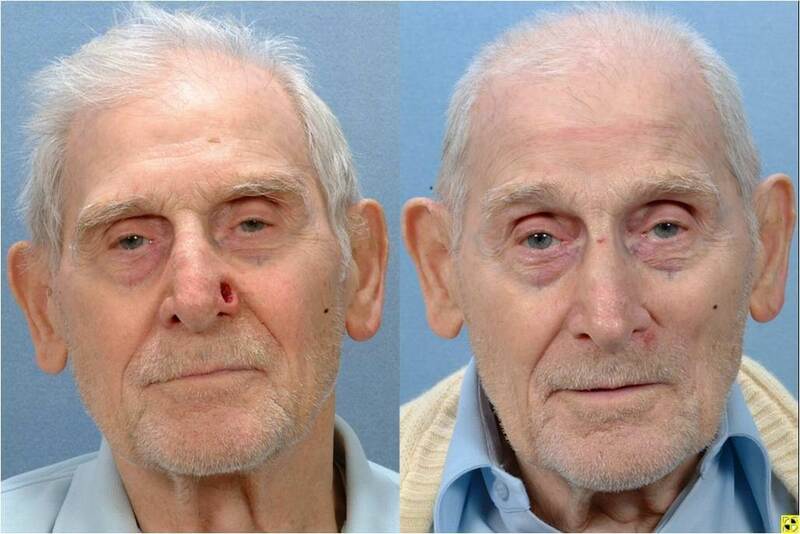 Mohs Surgery ​Treatment: Nasal tip defect treated with a paramedian forehead flap. 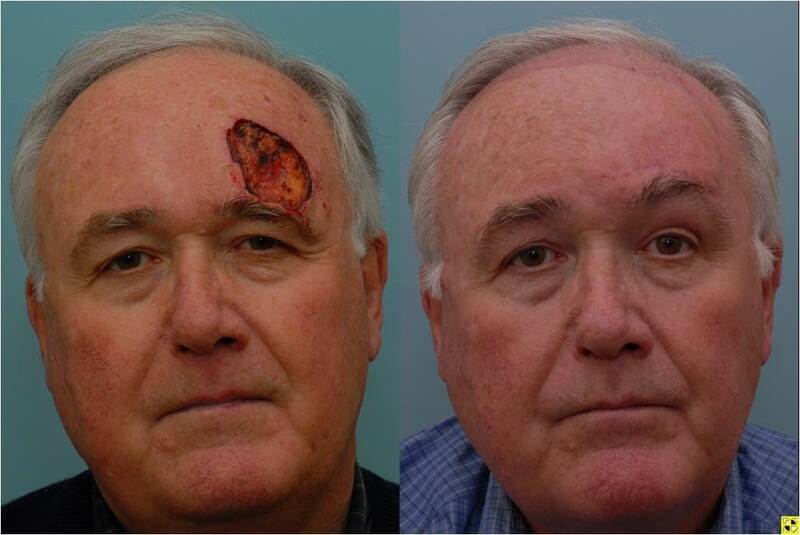 Mohs Surgery ​Treatment: Large defect of the forehead repaired with local flaps. 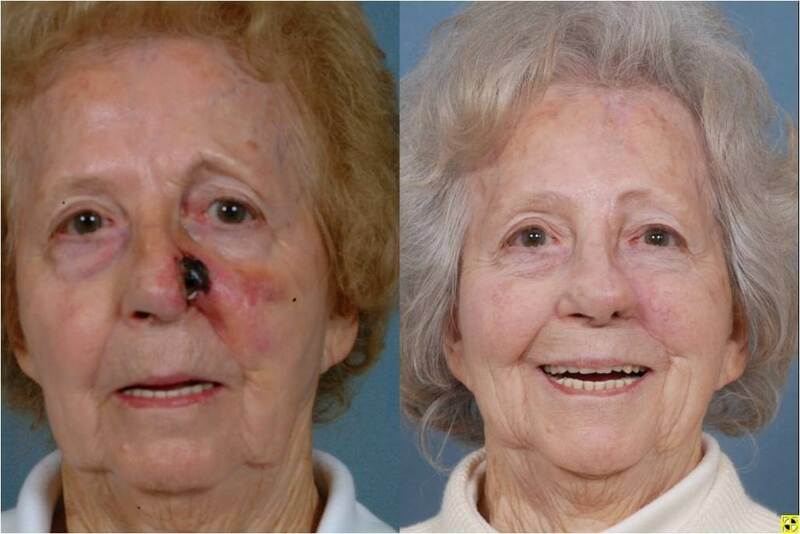 Mohs Surgery ​Treatment: Skin cancer removed and defect repaired with local flaps. Mohs Surgery ​Treatment: Full thickness defect repaired with paramedian forehead flap, cartilage grafts and internal nasal reconstruction. 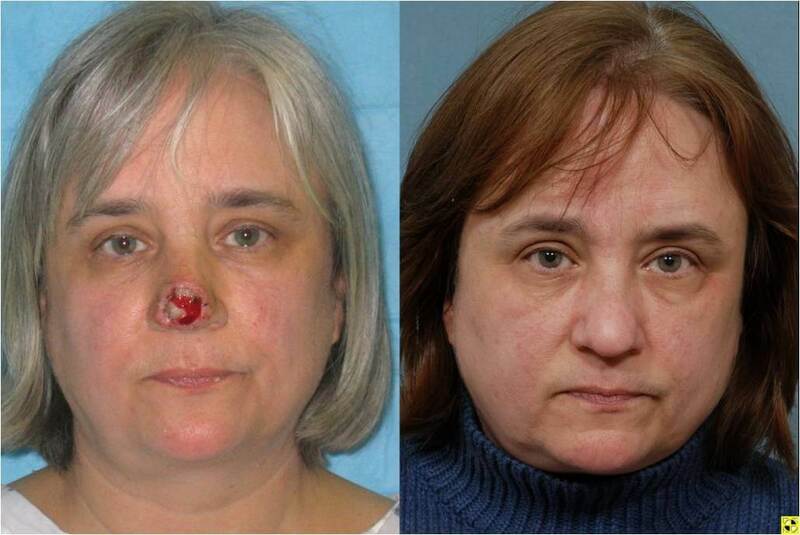 Mohs Surgery Treatment: Nasal ala defect repaired with a melolabial flap. 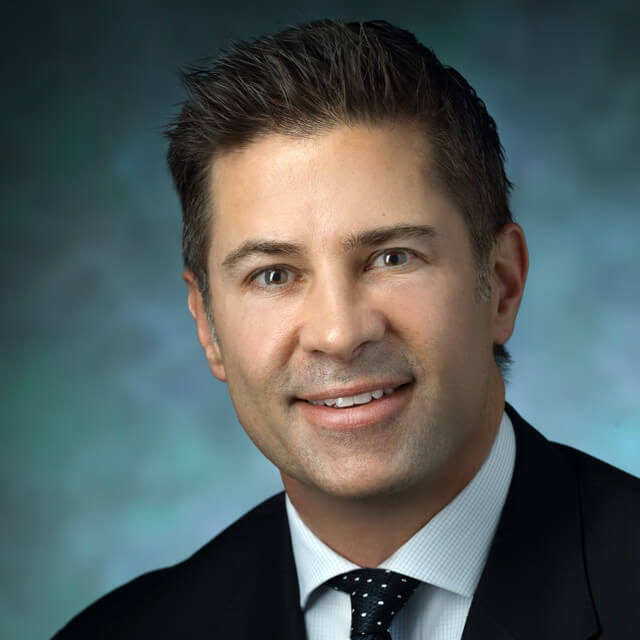 Mohs Surgery and Skin Cancer: Why Choose Johns Hopkins Facial Plastic Surgery? Our team will work with you to plan your microsurgical reconstruction, starting with a detailed evaluation. This is essential to helping you understand what to expect, including the potential impact on the appearance and function of your facial features. Your surgeon will assess you for potential donor skin sites that are likely to produce the best results with minimal loss of function. The doctor may close the surgery area by using surrounding tissue (local flap), or graft skin from another area of the body (skin graft). Your team may recommend a staged procedure that uses tissue expanders to grow more tissue to cover the incision. 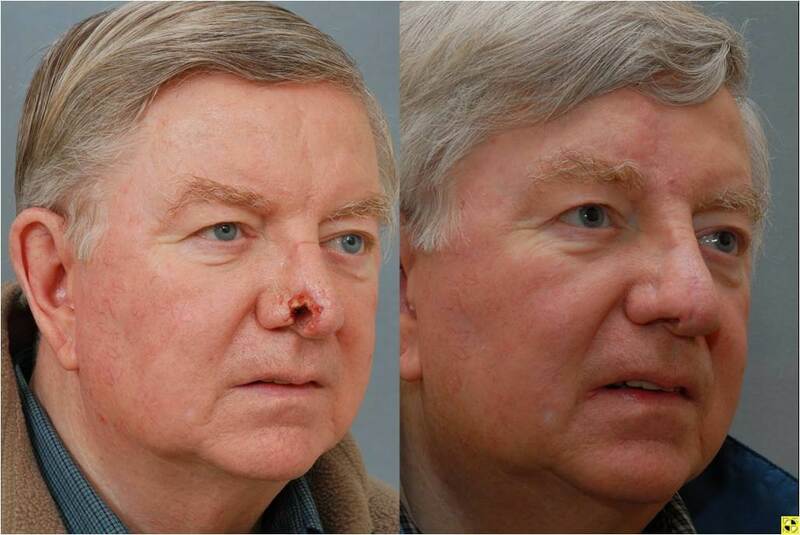 Learn more about a nasal reconstruction after Mohs surgery. 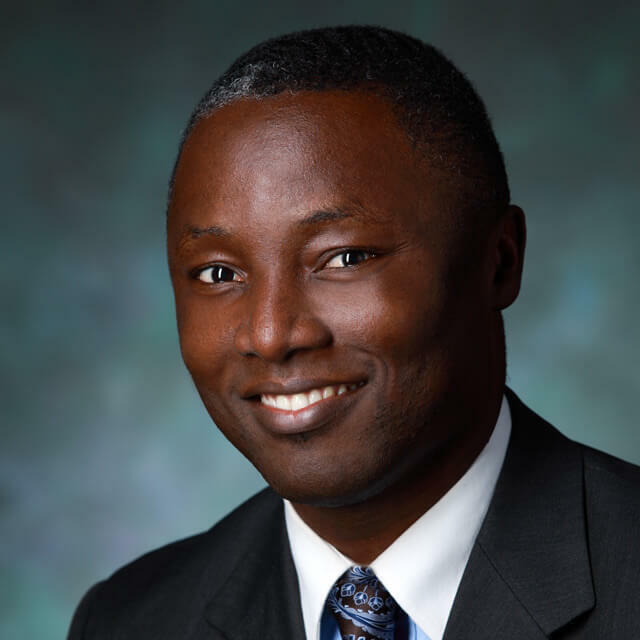 Follow-up care is vital to monitor healing. Anything unusual should be reported to your surgeon immediately, and you should be sure to keep your follow-up appointments with your surgeon: one day, one week and one month after surgery. Read more about what you should do before and after your Mohs procedure.